This single was the Australian band's biggest World-wide hit, and reached No.6 in both the UK and Australian singles chart, and #17 in the U.S. Billboard Hot 100. The song was taken from the album Diesel and Dust, which focused on the need for recognition by white Australia of past injustices involving the Aboriginal nation and the need for reconciliation. The original release of the single reached #48 in the UK during 1988. A re-release in 1989 reached #6 for one week on 7th May 1989 while Kylie Minogue was at No.1 with "Hand On Your Heart". Released in August 1987, Diesel and Dust was the band's biggest-selling album, reaching 7x Platinum sales in their home country of Australia, 3x Platinum in Canada, Platinum in the U.S. and Gold in the UK. 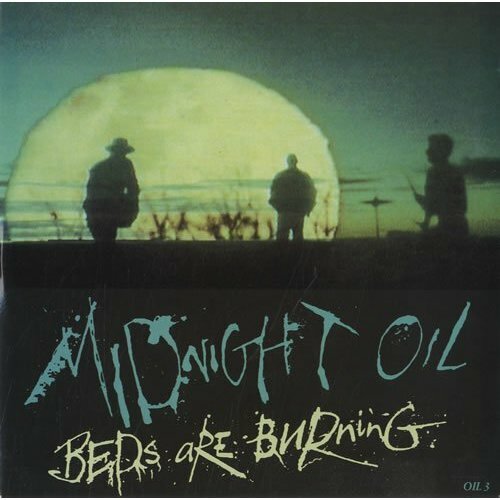 Known as "The Oils" by fans, the band released 11 studio albums between 1976 and 2002. On 14 March 2009, Midnight Oil briefly reformed for the Sound Relief concert in Melbourne, and they were the headline act. The song was a one hit wonder in the UK, although the band had numerous other hits in their home country. 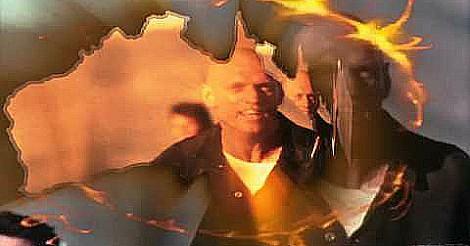 The band performed "Beds Are Burning" at the 2000 Sydney Olympics to a huge worldwide audience. The band are nicknamed "The Oils" in Australia, and were originally called Farm from 1972 until 1976. A new name was chosen late on in 1976 by drawing names out of a hat.